This topic contains 1 reply, has 2 voices, and was last updated by admin 7 months, 3 weeks ago. Is possible automatically save a PDF in some drive provider like google drive or some other? PDFs are not stored, they are only generated on demand by a link or when attaching to an email the original file is automatically deleted when the email is sent. We do offer a $10 add-on plugin that will allow you to save PDFs to a folder on your server but not online storage services. Complete this form if you need the add-on. 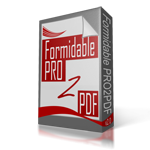 Be sure to enter the email address associated with your PRO2PDF activation key. Saving PDFs to the local server is a standard option with our replacement plugin, E2Pdf.com.